Pitch Perfect 2 is Aca-Amazing! I feel like I have been waiting a century for the sequel to Pitch Perfect to come out in theaters, but the wait is finally over! The Barden Bellas are back and they’re bringing the laughs at full force and great tunes to some of the best songs. It’s aca-amazing to say the least! Pitch Perfect 2 follows the Barden Bellas as they prepare for an international competition that no American group has ever won before. They strive to win to regain their status and the right to perform after an embarrassing performance at the Lincoln Center that denied them to perform again. The girls are back and they are better than ever. I am a sucker for chick flicks, so this is one of those films that I just could not wait to see. The two elements that made this film so spectacular was it’s humor and mind blowing singing talent. I could not stop laughing, especially with my favorite character, Fat Amy. Rebel Wilson killed it with her stellar performance once again! I also really loved how the songs that were used in the film were relatable to my childhood! Who doesn’t love the 90’s?! The wardrobe was also really modern and chic and I felt that the girls really looked beautiful. There are also some new love interests and of course a special bonding (almost tear jerker) moment with he ladies. One special surprise that I loved was the array of celebrity appearances made in this film. I won’t ruin all of it for you, but some of my favorites were Katey Sagal, Snoop Dogg, Keegan-Michael Key, the cast of The Voice, the Green Bay Packers (yes, the real team) and the president and first lady! There is something so special about hearing music directly from a human rather than adding instruments to support their voice. Acapella singers are truly a work of art. A masterpiece, if you will. I know I am being a little biased here because I was in choir for practically all of grad school, but whether you are a singer or not, it is really amazing how tones blend and music is created. This film is a perfect example of that. There wasn’t a single song that didn’t make me smile, laugh, nod my head, etc. The actors did a phenomenal job of infusing humor with medleys that will please many generations. 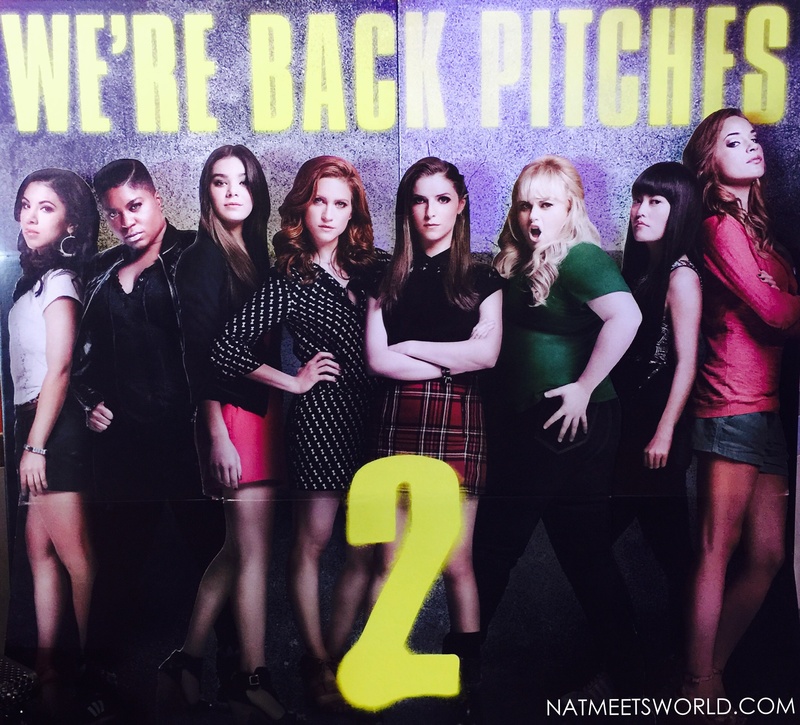 Pitch Perfect 2 should not be a film that you need to wait for on DVD! I guarantee if you go check it out in theaters, you will not be disappointed! Be sure to stay seated as the first end credit roll for a little clip with Bumper, lead of the Tone Hangers male acapella group, and the cast of The Voice! I give this aca-awesome film five stars for its constant humor and talent! 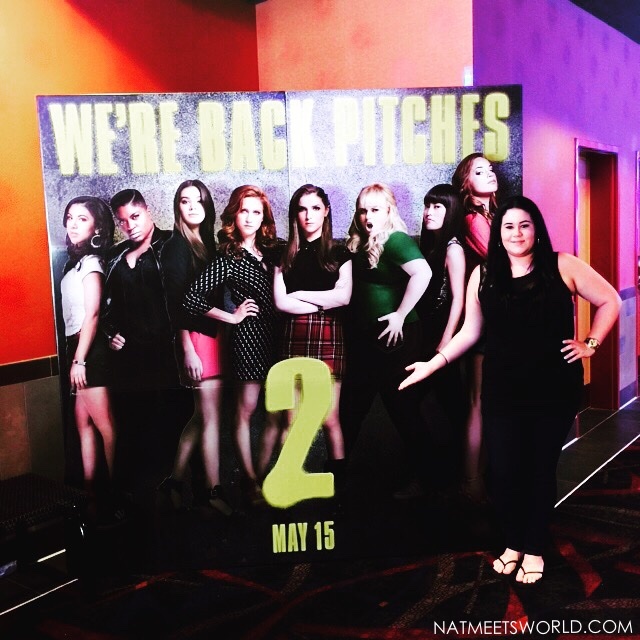 Did you watch Pitch Perfect 2? What did you think? Comment below! I like Anna Kendrick’s voice, and this review just makes me want to catch the show even more!! I did not see the first movie; is it advisable to catch that one first, or can I just enter the cinemas and have no continuity problems when watching?